Peter Nguyen Photography brings us a breathtaking Southern Belle today, and these striking images are sure to leave a lasting impression on you. 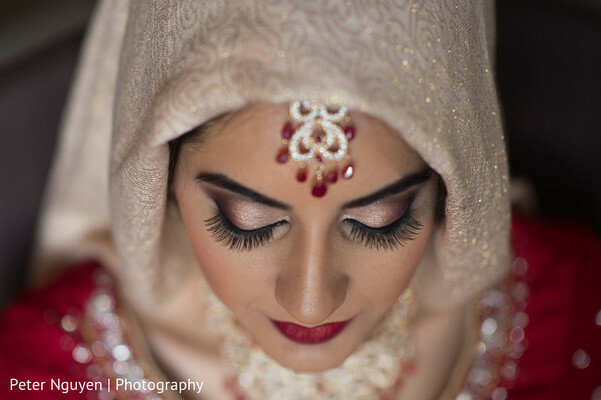 This Pakistani bride is getting ready to marry the Raja of her dreams, and she's got Noorface on her side, taking charge of her hair and makeup, to make sure she looks picture perfect for the most important day of her life. 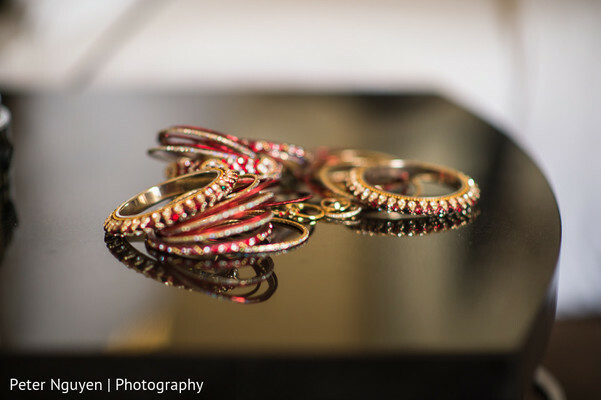 Her glittering, red open shirt lengha is a bridal dream-come-true, and her accompanying jewels are just the icing on the cake. 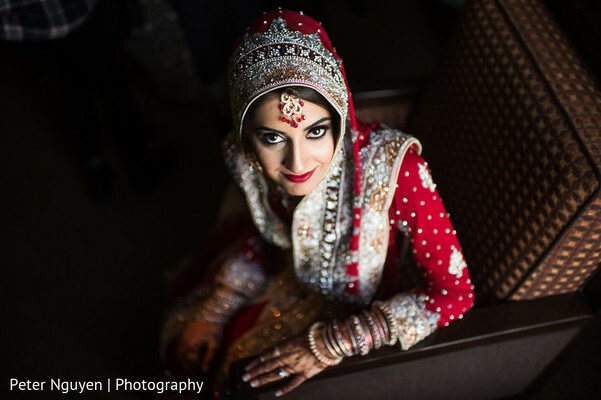 She and the groom-to-be posed for some frame-worthy portraits that will both inspire and warm you heart. 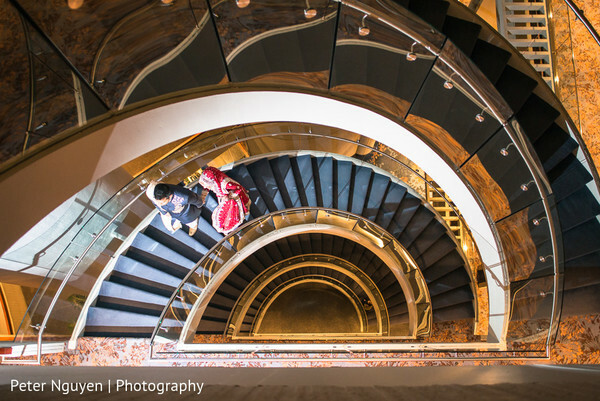 I love the image of the two lovebirds from atop the stairs — it's definitely eye-catching. 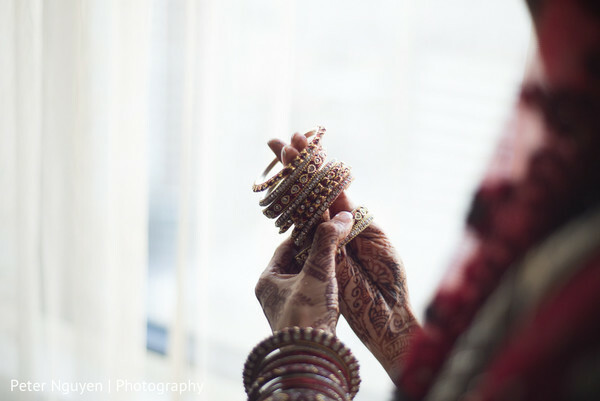 In just a bit, we'll check out the details from their unforgettable valima, but in the meantime, why don't you head into the gallery for a look at some of the pre-wedding celebrations! 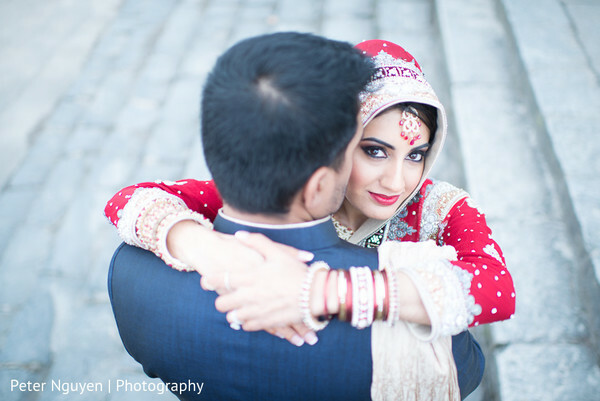 "My sweet husband came to know about me through mutual friends. When he first saw me in person, he claims that I looked up at him and smiled (but I have no memory of this). He asked a couple of our friends about me over a two-year time span, and we finally were able to meet. We mesh so well together and always enjoy each other's company. He is definitely my best friend." 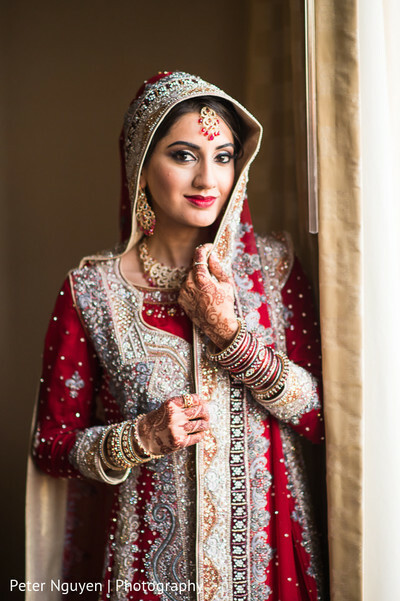 "I spent several hours online trying to find a wedding outfit that was not too much like the typical Pakistani bridal gown. I did want a red outfit, since I like that color, but I wanted some uniqueness to it. We went to Chicago, and I purchased a Libas-E-Khas gown and customized the outfit with colors of my choice. They incorporated an antique gray along with the gold and silver work on it, and it definitely made my outfit different from the rest!" Check back in with me soon, Maharanis! Peter Nguyen Photography is a member of the Platinum Guide. Love what you see? Explore their portfolios. Why wasn't our DJ services not mentioned alongwith other vendors?